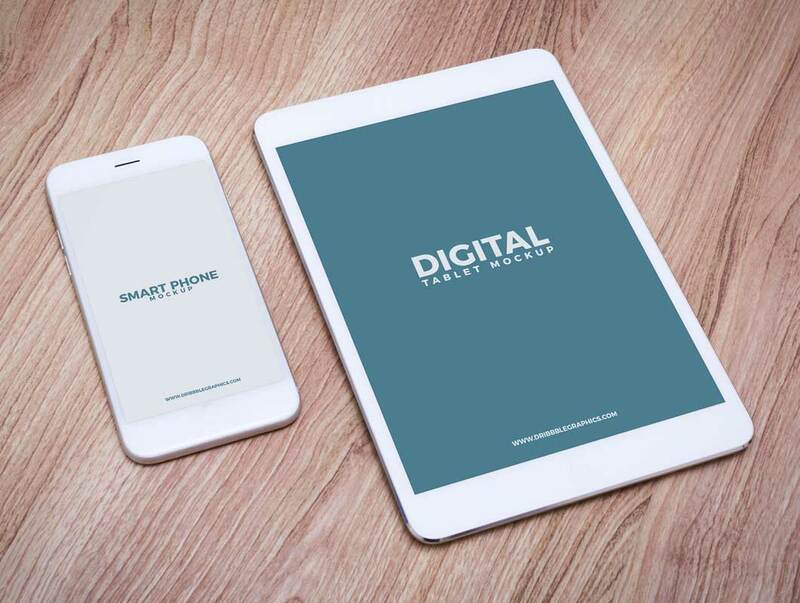 Get a flawless presentation of your mobile and tablet designs by getting this very elegant and realistic Free Digital Tablet With Smart Phone Mockup. Via smart-object layer you will be able to get the desire result. So, keep in touch with us and must watch our all mockups.